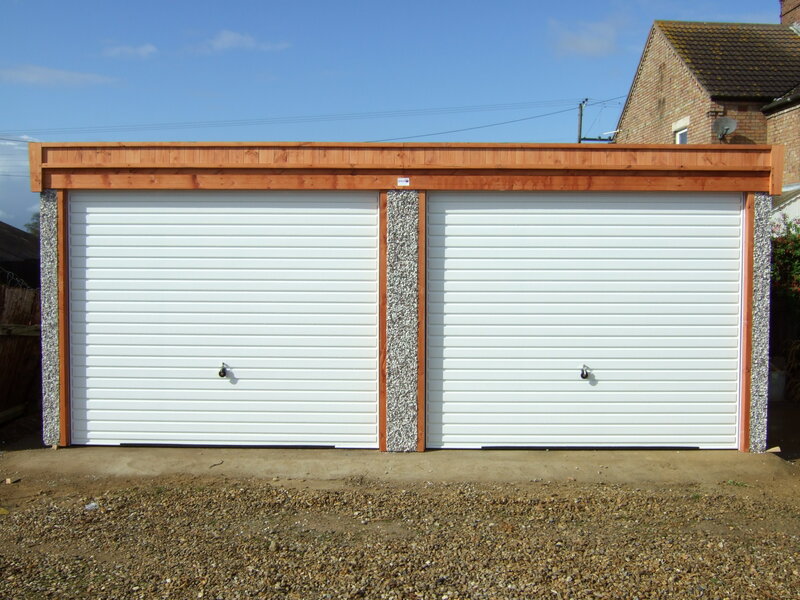 Flat-roofed garages have the same construction and design as our apex garages asides from the roof. A flat-roofed garage slopes from the front of the garage to the back of the garage in order to provide sufficient drainage. If the roof wasn’t sloped the rain would struggle to drain efficiently and, in winter time, the roof could collapse from the weight of snow on top of the roof. However, although the roof is sloped, this doesn’t deduct from the internal head height. You have consistent head height throughout the garage meaning you won’t need to fear banging your head. If you’re looking for a classy garage at an affordable price range, then flat-roofed garages might just be for you. 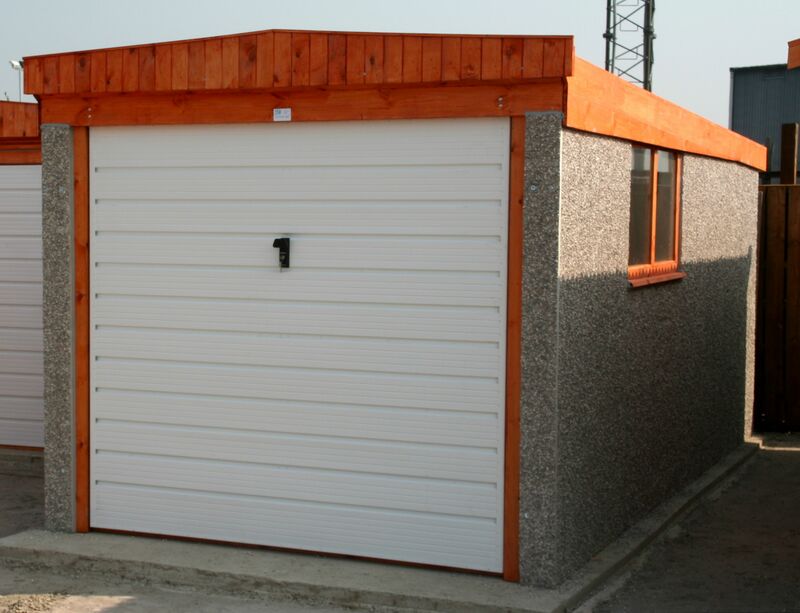 Our flat-roofed garages are over 10% cheaper than our apex garages. Our flat-roofed garages come in over 5 different widths (ranging from 8 feet to 14 feet) and 5 different lengths (ranging from 14 feet to 24 feet). 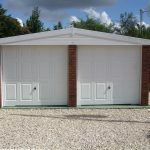 If you wish to have a garage over these dimensions, then the garage becomes a double and has an extra door fitted. 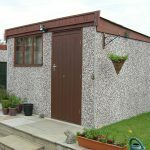 All of our garages come with galvanised steel roof for added strength and anti-condensation felt to reduce mould. 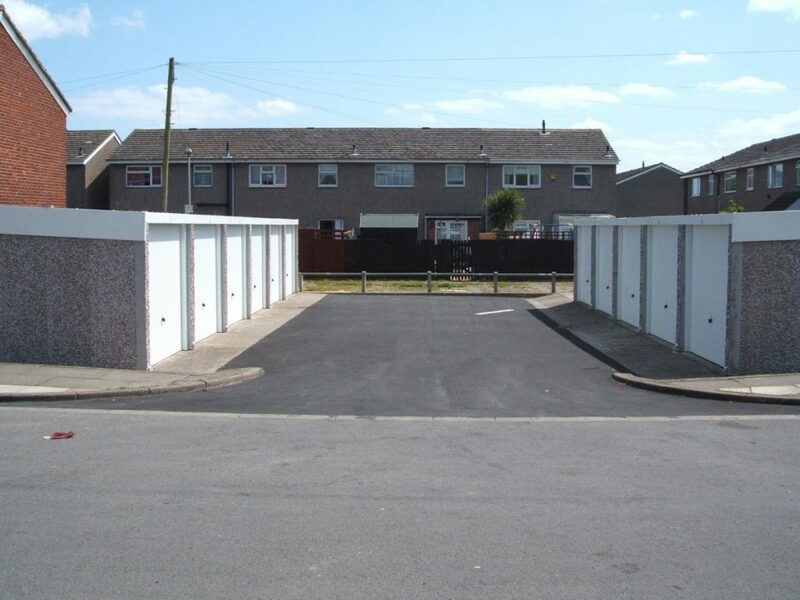 If you’re looking to purchase battery garages we have a wide range of garages available, anywhere from 3 garages to 33 garages. However, if you’re needing anymore (typically for large residential areas or storage facilities) we can provide unlimited widths.